SHANGHAI (Bloomberg) -- BMW's biggest Chinese dealer says orders for the new generation extended 3-series sedan have surpassed expectations. China Yongda, which runs 21 BMW outlets in the world's largest auto market, received between 100 and 200 orders per outlet for the sedan since sales started ten days ago, Dong Wei, vice president of the dealer group, said on Thursday. "Orders have definitely exceeded expectations," Wei said in an interview about the stretched sedan, which starts at 340,000 yuan ($53,550). "Before the car went on sale, many customers were unsure due to price uncertainty." Wei declined to elaborate on the company's forecasts. The stronger-than-expected uptake may reflect broader demand for BMW's best-selling sedan, helping the premium automaker narrow its gap with Audi in their biggest market and alleviate concern that demand for luxury autos is waning with the economic slowdown. The world's biggest luxury carmaker started taking orders June 8 for five models of the stretched and standard new-eneration 3-series sedan, it said at the time. "It's all about brand recognition; BMW has always got a premium branding in China," said Cheam Tze Shen, Hong Kong-based assistant vice president at CIMB Securities HK. "The car is also designed to be very driver focused, which may attract the younger generation, the target for the 3 series." The first deliveries of the new long wheelbase 3 series would begin in the latter half of July, Wei said. The vehicle is 110mm (4.3 inches) longer than the regular model, and is part of a trend by Audi, BMW, and Mercedes-Benz to cater to Chinese design for back-seat comfort. BMW's sales in China rose 34 percent in the first five months of the year to 135,026 units, and it has projected sales this year to rise by at least 10 percent in the market, offsetting a market decline of as much as 5 percent in Europe. Even so, industrywide demand in China slowed earlier this year, as economic growth moderated and fuel prices hit record highs. An inventory glut is building at the dealerships, leading to price cuts, the state-backed China Automobile Dealers Association, said last week. Yongda, a Shanghai-based auto distributor which operates 66 sales outlets for brands ranging from Porsche to General Motors Co.'s Buick, expects demand to improve in the second half of the year. China's auto market will pick up as the macro-economic environment improves and carmakers adjust production to reflect market demand, Zhigao Wang, Yongda's vice chairman, said. Carmakers are also likely to introduce some buying incentives then, he said. Yongda sold 20,586 BMW and Mini-branded vehicles last year, according to the company's prospectus. 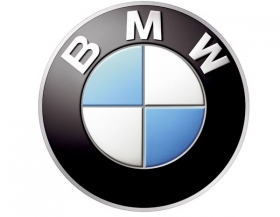 This makes it the largest BMW dealer by volume in China, according to industry analyst Roland Berger. The company plans to revisit a delayed Hong Kong initial public offering again, Wang told reporters Thursday, declining to be specific on the timing. On May 28, the dealer group postponed a plan to raise as much as $430 million, citing deterioration in equity markets. "When we first decided we wanted to list, the slumping investor sentiment was like a light rain shower. By the time we started marketing, the shower had turned into a downpour," Wang said.